2019 is officially here and New Year’s resolutions are in full force. We know many of us have resolved to cook at home more, and what better way than joining our friends at Bellina Alimentari for a hands-on cooking class! Team 360 got the chance to try a class out in 2018 and we had a blast creating a delicious meal together. 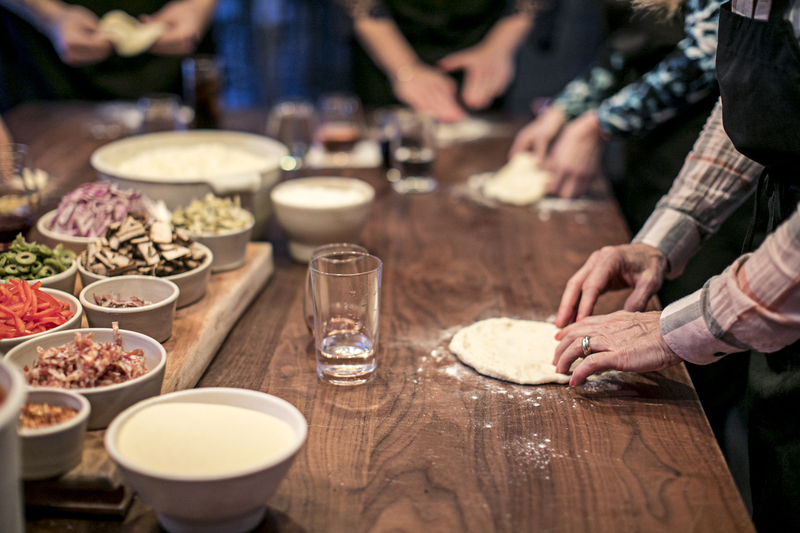 Led by one of their seasoned chefs, you’ll learn how to knead, roll, cut and create delicious pasta or create your own pizza from scratch. View their full class schedule here + happy cooking!